Till the end of November 266 000 state fisheries management fees were paid. Anglers and fishermen have paid total sum of Euro 8.7 million, which is less than expected. Every angler aged between 18 and 64 need to pay the management fee. There is an exception; angling with a hook and line, ice-fishing and herring fishing with a rig are exempt from licences under public rights of access. 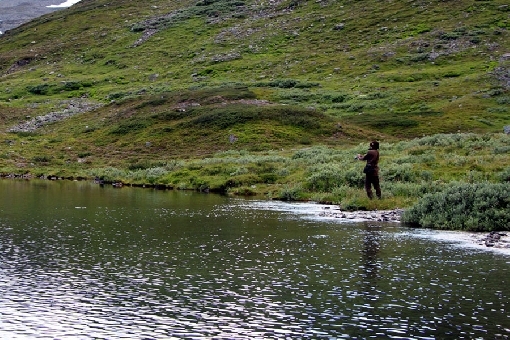 If necessary, a fisherman must be able to prove his or her age to the fishing supervisor. You can pay fees either for calendar year (Euro 39), 7 days (Euro 12) or 1 day (Euro 5). You can purchase the state fees at R kiosks and on the Internet at online shop www.eraluvat.fi as well as at some Nature Centres run by Metsähallitus or by calling to service number +358 20 69 2424. Photo above: Ismo Kolari. Fisheries management fee is easy to pay.